Layers skipped, possibly Z axis hangs? Posted February 11, 2016 · Layers skipped, possibly Z axis hangs? 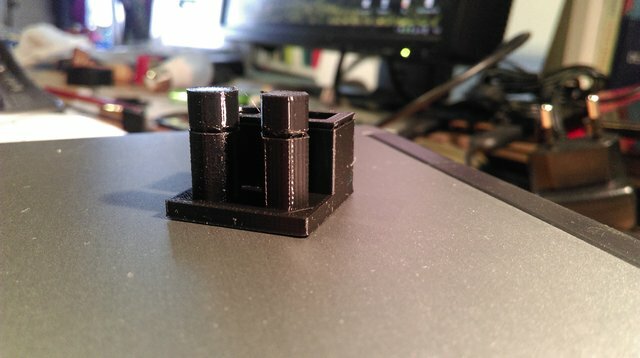 I'd be happy if anyone had a suggestion - I'd love to be able to print anything higher than 12mm. I was wondering if you had this under extruded line on the exact same length every print or does it vary? 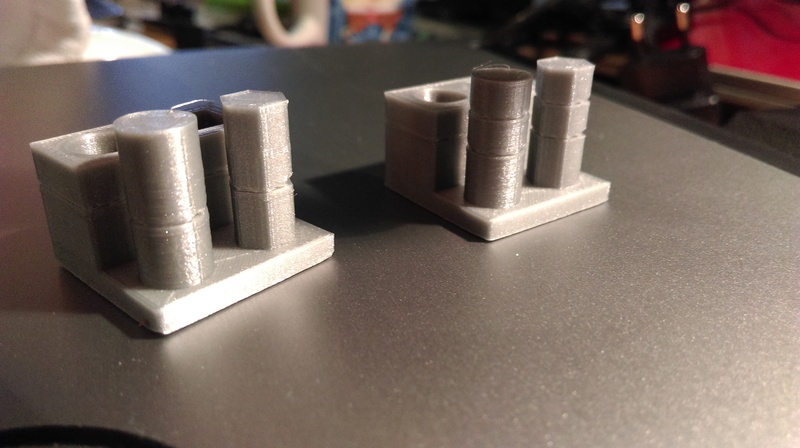 It kinda looks like it varies, and on some of your prints it looks like generic under extrusion. Which makes me think it may not be the bearings. Could you tell me what settings you are using? What material are you currently using, and what materials have you used in the past? I have a similar problem at 14mm on every print. I have tried to log my issue yesterday but i notice it is not logged. I will keep track of your responses and hopefully I will resolve mine at the same time. The first skip occurs at 10mm in most prints (there were two out of 10 prints that didn't have this one), the second at 13mm height (in all prints I made in the last few days). From there on upwards I've also had the impression of constant underextrusion, but this might be due to my tuning efforts. I've used the following filaments (all PLA @2.85mm): Ultimaker's own (silver), Prima Value (black), Das Filament (pink), eSun (brown). Currently I'm printing the same test cube from the SD card using the brown filament from eSun. Could "simple" underextrusion occur at the same height every time? PS: Settings are back to default - PLA @210°C, no alterations to the machine's default in regards to material flow, retraction etc. Because you have tried so many different filaments, can I ask you try an Atomic method to make sure your nozzle is clean from the inside? You can find a tutorial here on how to do it. It could be that small particles/dirt are interfering with your material flow. Lets get that hot end nice and clean first! Alright, I cleaned the nozzle, the first run did remove some dirt apparently, the second was clean, no more residue on the filament piece. Then I printed one more calibration cube (guess what, I have about 20 of them sitting here on my desk) - no change, there's still a gap in the very same place. Maybe this helps find the reasons behind the problem? Posted February 12, 2016 · Layers skipped, possibly Z axis hangs? Is this normal? Should I try and tighten it? 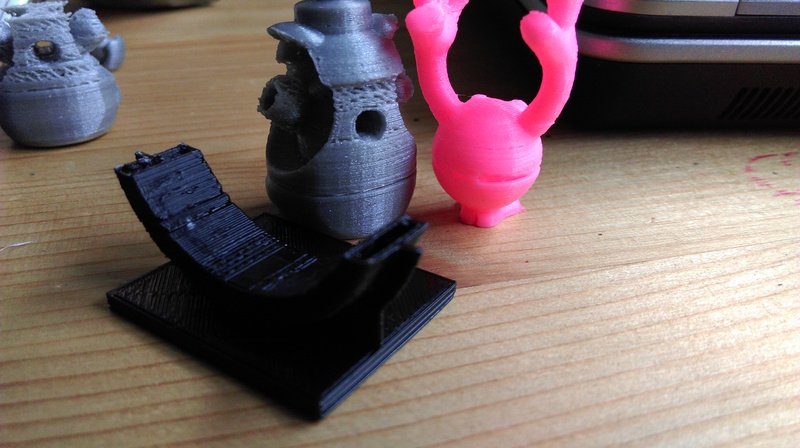 this is weird, but I think I solved it: I re-flashed the firmware from Cura 15.04.4, did a factory reset, and so far I did three prints without any problems. Maybe this helps others as well - just try it. Posted February 13, 2016 · Layers skipped, possibly Z axis hangs? 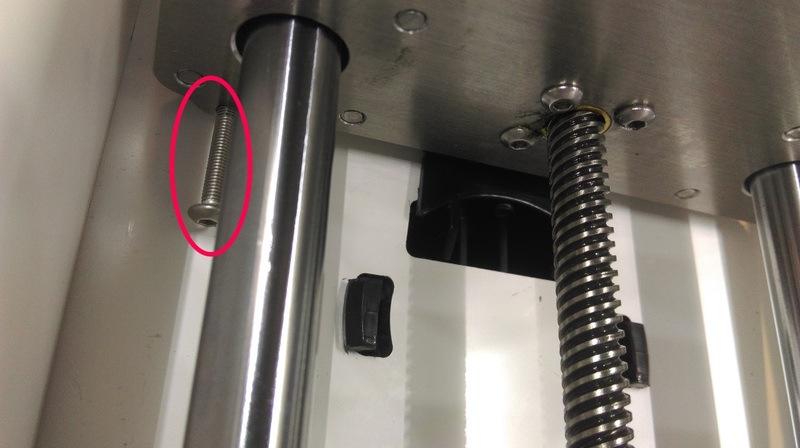 leave the screw like this, it triggers the lower z limit switch. There ia a corresponding hole in the bottom of the printer. Great that it prints well now! Other than moving the platform with Pronterface (is the difference in sound gone now?) you can move the platform by hand. Grab it at the back and slide it up and down. Do you hear or feel anything strange? Posted February 14, 2016 · Layers skipped, possibly Z axis hangs? The different sound and the correlated hang of the platform were only showing when moving with Pronterface. Manually moving the platform did not make any sounds, any stops, anything. So far, I made three more prints, and all turned out fine - thanks @all for their efforts and time. Posted February 20, 2016 · Layers skipped, possibly Z axis hangs? I've been having the same problem as you with my umo+ where cleaning the z rods also didnt work for me. How did you re-flash the firmware and do a factory reset? I'm still kind of a noob when it comes to firmware issues.